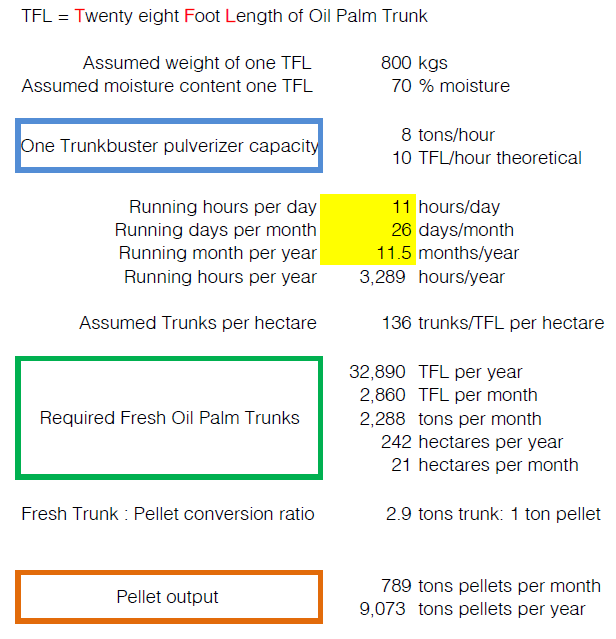 Calculations | TrunkbusterTM,world's most efficient Oil Palm Trunk Pulverizer. ​Are you thinking of setting up a plant to convert Oil Palm Trunks into fuel pellets ? ​If yes, do you need help figuring out what your plant capacity will be if you use our Trunkbuster machine ? ​Email us your enquiry and we will send you an Excel format plant calculation sheet (as seen on the left).